Steve joined CareSource in 2011 as vice president of operations, and in 2012 was promoted to senior vice president, market and product group. In 2014, as the company expanded its geographic footprint with the Health Insurance Marketplace, Steve was appointed president, Ohio market. Steve has a depth of experience in the managed care industry. Before joining CareSource, his career history included record accomplishments at ChoiceCare/Humana where among other positions he served as vice president of customer care and innovation. 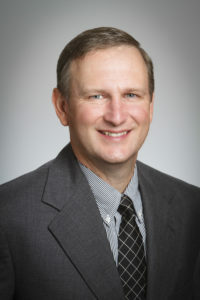 Steve earned a Bachelor of Business Administration degree from the University of Cincinnati and a Master of Business Administration from Xavier University. He serves on the finance board of directors and the executive committee for People Working Cooperatively, the Ohio Chamber of Commerce Board of Directors, the Montgomery County Human Services Levy Council, and on the board of the Ohio Association of Health Plans.